It wouldn’t be Spain or Christmas without the F4 equation that makes up every big annual celebration… Family + Friends + Food + Fiesta. Most of us know the modern carol of the 12 days of Christmas, but most of us have never celebrated the 12 days, nor would even know when they officially start or finish! You can’t escape the 12 Days of Christmas in Spain for the simple fact that the traditions, both religious and cultural, are so strong in this country. The Christmas celebrations start on Christmas Day and until the 6th of January there are a series of celebrations, public holidays, saints days and a lot of traditional food in between. … then a few days of shopping frenzy between the 2nd and 5th January (equal to the last few days before Christmas in other countries). Finally the parades of Los Tres Reyes (Three Kings) on the night of the 5th January as they pass through every town to deliver presents to every house by the 6th January – the Feast of the Epiphany. It’s a nice change for Christmas Day to be the start and not the end of the 12 Day celebration, and that New Year falls in the middle. Instead of ‘back to work and normal life’ on the 2nd or 3rd of January, there is the rest of the week to look forward to and the presents shared with family on the Epiphany. Christmas Day is celebrated in the traditional way with church attendance and an enormous lunch with family. The absence of the commercial aspect is an adjustment to those of us who are used to it, but in the end a lovely reminder of the true spirit of Christmas. 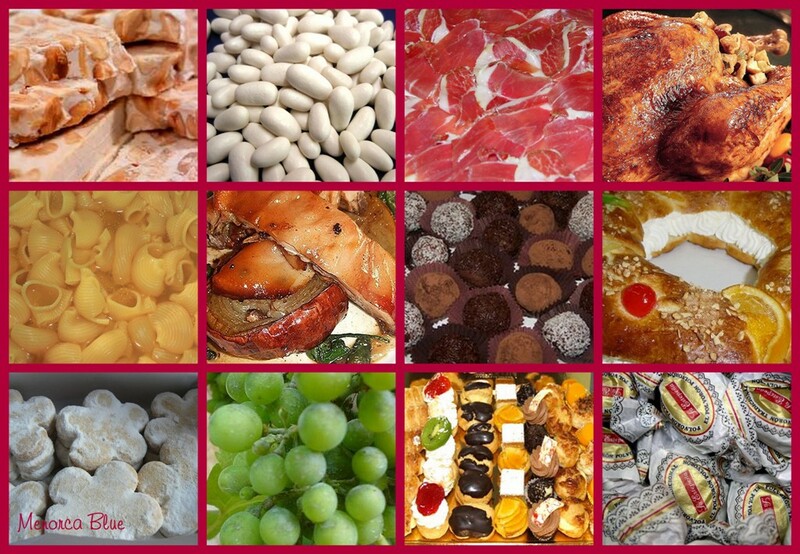 It wouldn’t be Spain or Christmas if food was not a fundamental part of the F4 equation that makes up every big annual celebration Family + Friends + Food + Fiesta. Es Gust de Nadal – The Flavour of Christmas. One final note of trivia…. Today is the 28th December, the Day of the Innocents. With a modern twist on an old Feast Day, in Spain it’s treated like April Fool’s Day and many humorous jokes are played in the media. As you would expect the innocents amongst us are the first to fall for them!